Set of Ferguson's vagical speculae. 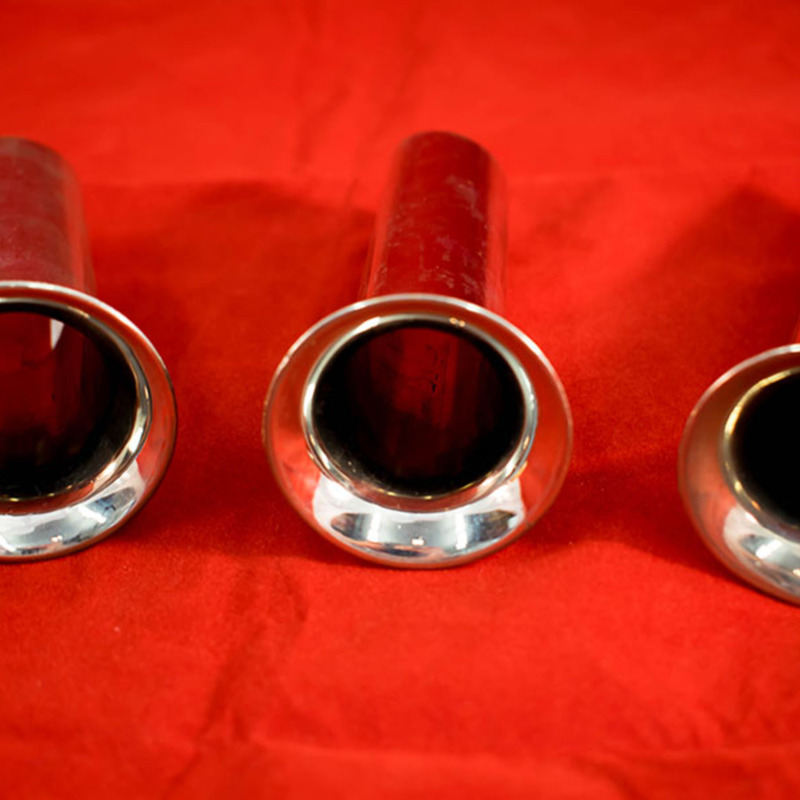 The three narrower instruments are chrome/nickel plated, and the widest is made of an early plastic, probably cream bakelite. These vaginal speculae were designed by Sir William Fergusson, a prominent Scottish surgeon during the 1800s. 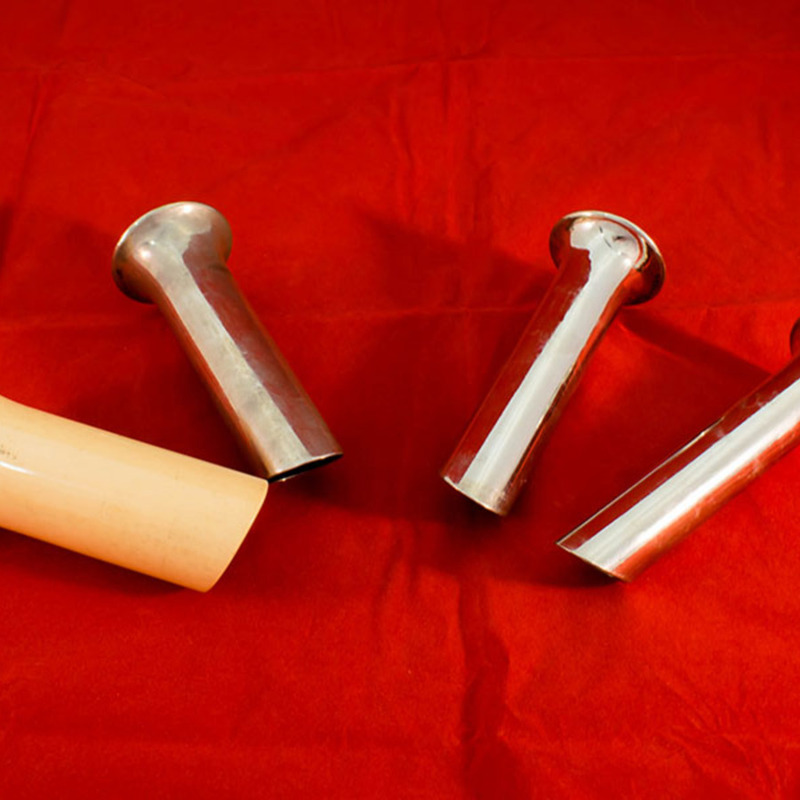 It was used for examination of the female reproductive tract and for the easy access of surgical instruments. Between 13.6 x 2.5 cm and 13 x 4.2 cm. Sir William Fergusson, “Fergusson's Vaginal Speculae,” Heritage, accessed April 25, 2019, https://heritage.rcpsg.ac.uk/items/show/140. Description: Set of Ferguson's vagical speculae. 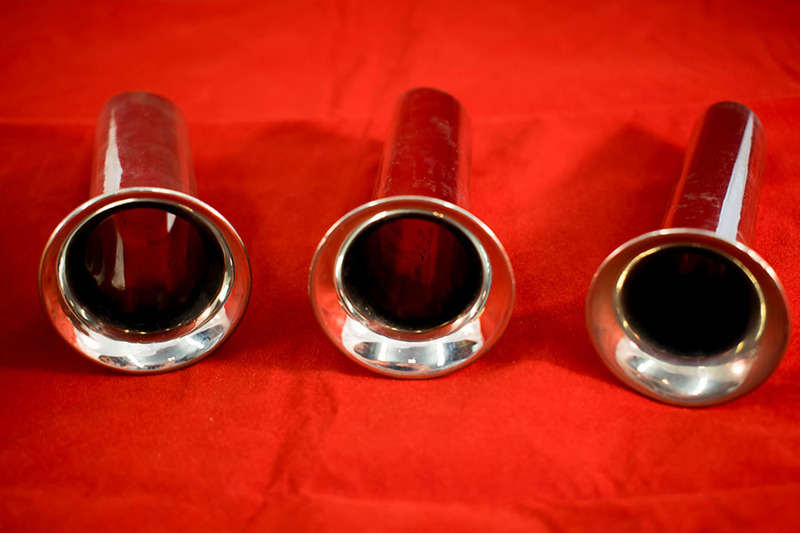 The three narrower instruments are chrome/nickel plated, and the widest is made of an early plastic, probably cream bakelite. These vaginal speculae were designed by Sir William Fergusson, a prominent Scottish surgeon during the 1800s. 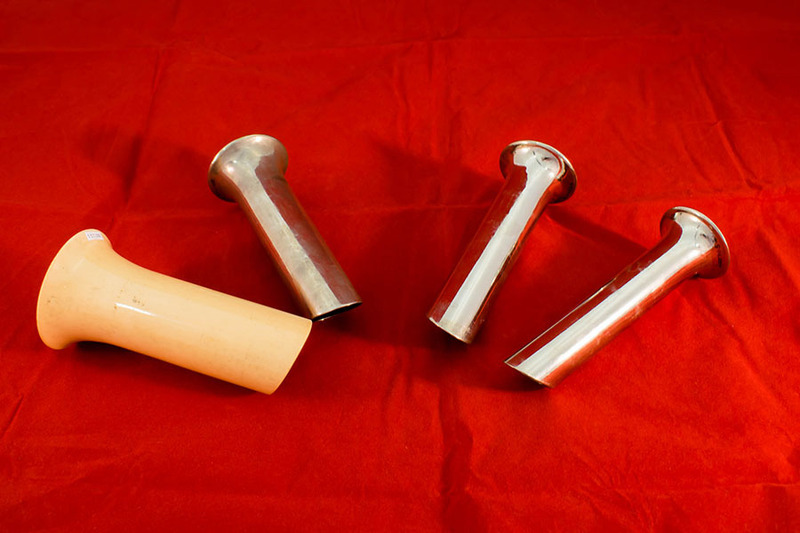 It was used for examination of the female reproductive tract and for the easy access of surgical instruments.